Add this to the list of one-year-olds who have gone Internet ‘viral’. 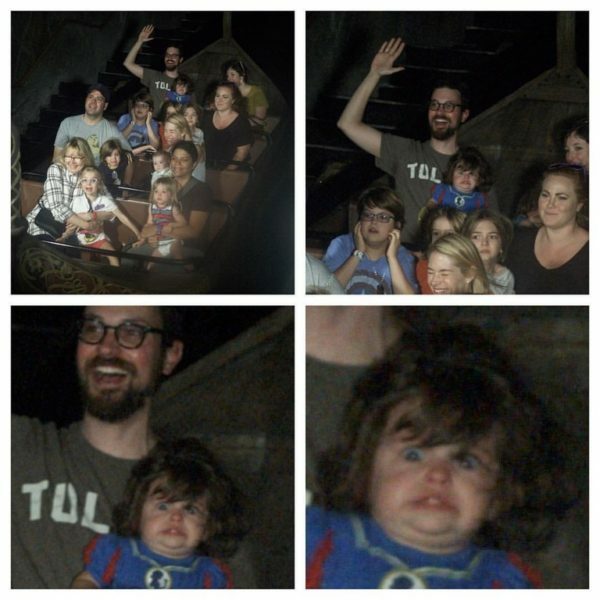 Poppy seemed to be enjoying her first theme-park ride with her dad, but the hidden camera told a different story. When Tennesse dad Ryan Dunlap took his young daughter on her first ride, he picked the Frozen themed attraction because it looked safe. “There’s always a little bit of trepidation on taking your child on their first ride, but this was an all ages ride and there wasn’t even a restraint on the boat ― so I figured it was a lazy river sort of ride where you look at ‘Frozen’ characters,” Ryan told the Huffington Post. Poppy seemed to love the ride, but it was only much later, when Ryan and his wife saw the official ride photo and noticed Poppy’s shocked expression, that they wondered whether the ride had gone as smoothly as they thought. Ryan, his wife and friends thought it was so funny, they shared it on Reddit, where it quickly went viral. Ryan was quick to assure sceptics that his daughter was fine just after this photo was taken. Do you remember the first theme park ride you took your child on? How did they react?